A vintage french painted table. 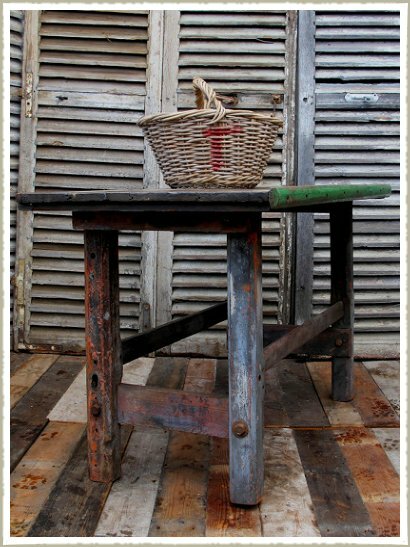 The original paint is in various shades and colours and is naturally distressed and has masses of character and patina. 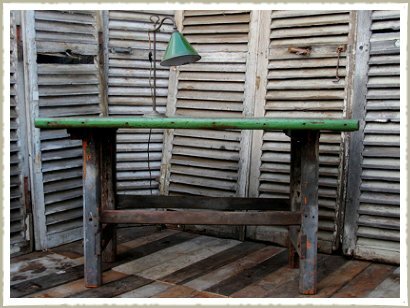 Reclaimed vintage furniture with a unique finish. 134 cm long 67cm deep 76cm high. 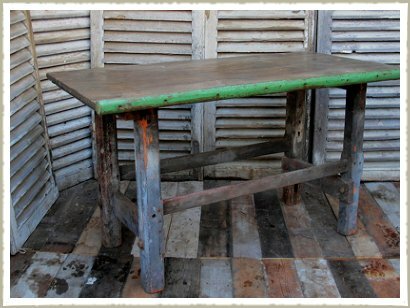 £420.00 Vintage French Kitchen Table.